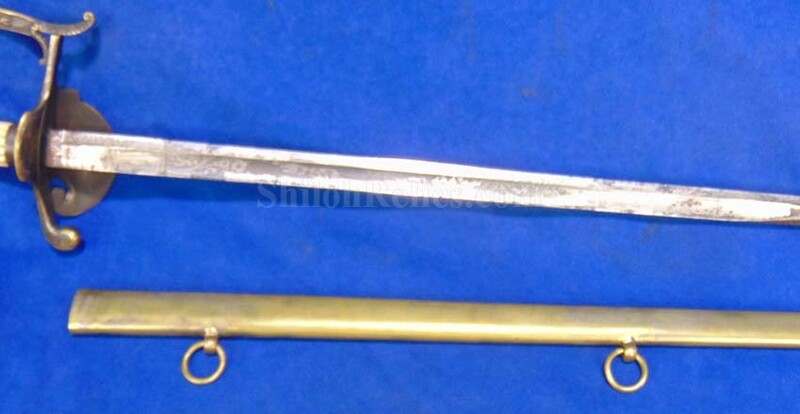 Here is an attractive sword at an affordable price. 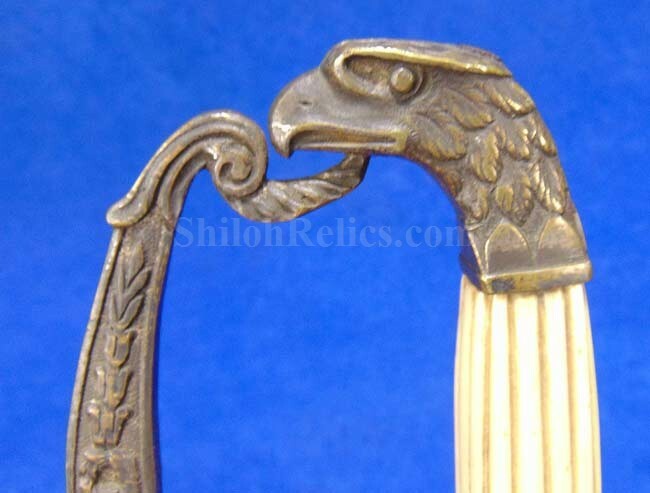 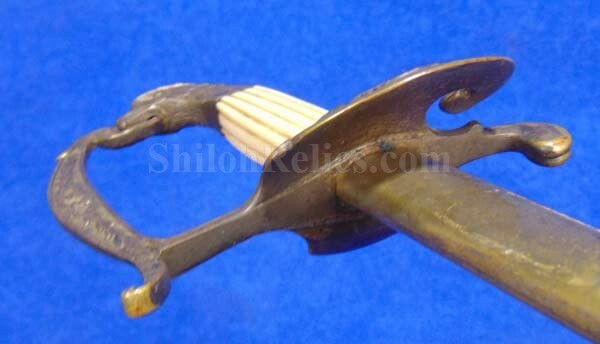 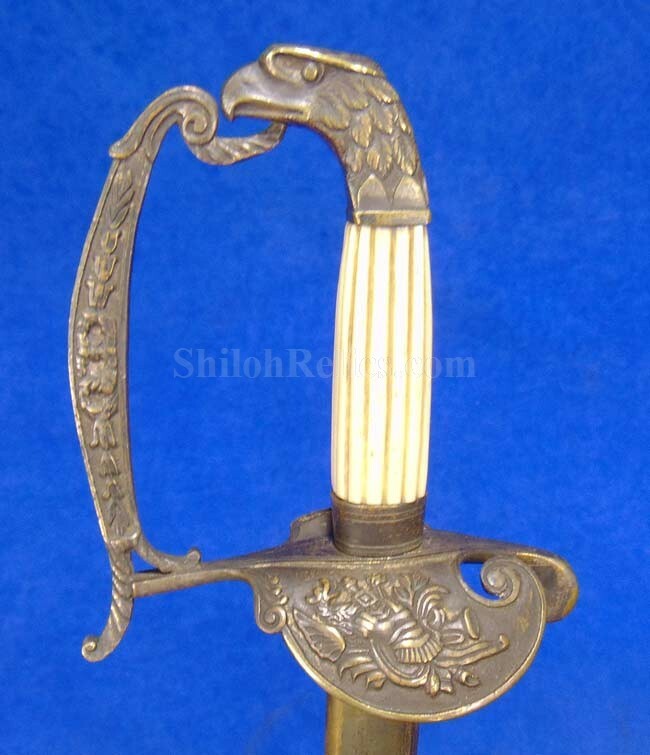 It is an original officer’s pattern sword known to collectors as the Eagle Head. 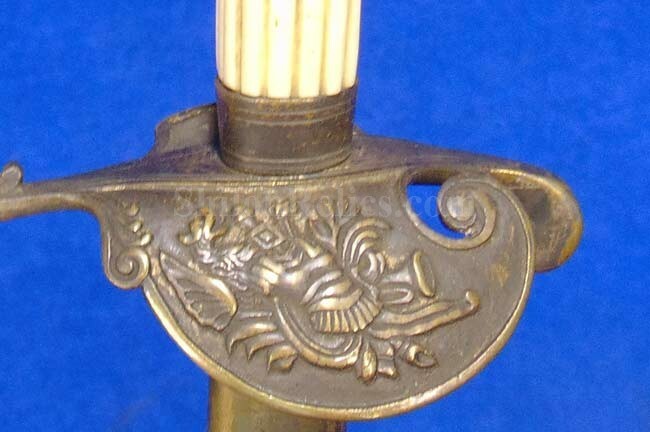 The name is simple to figure out because of the eagle head style pommel cap at the top of the sword. 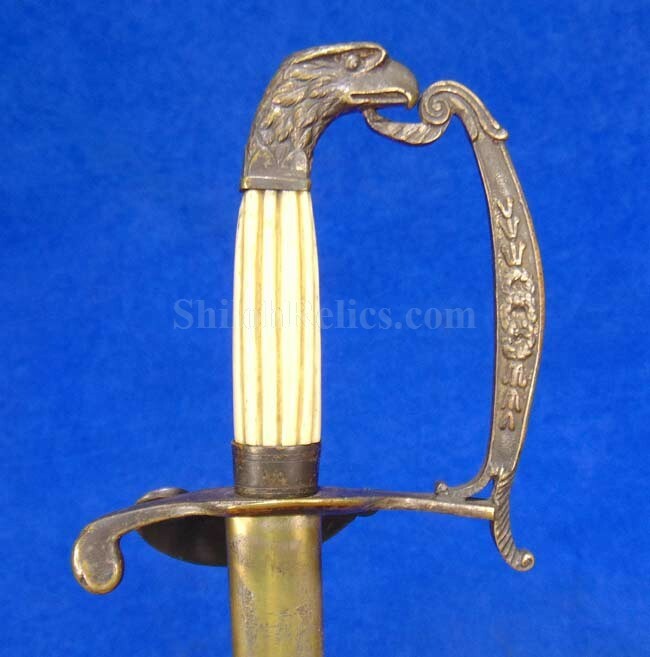 This one has a full-length 27-1/2 inch blade with a fine amount of the ornate etching on each side. 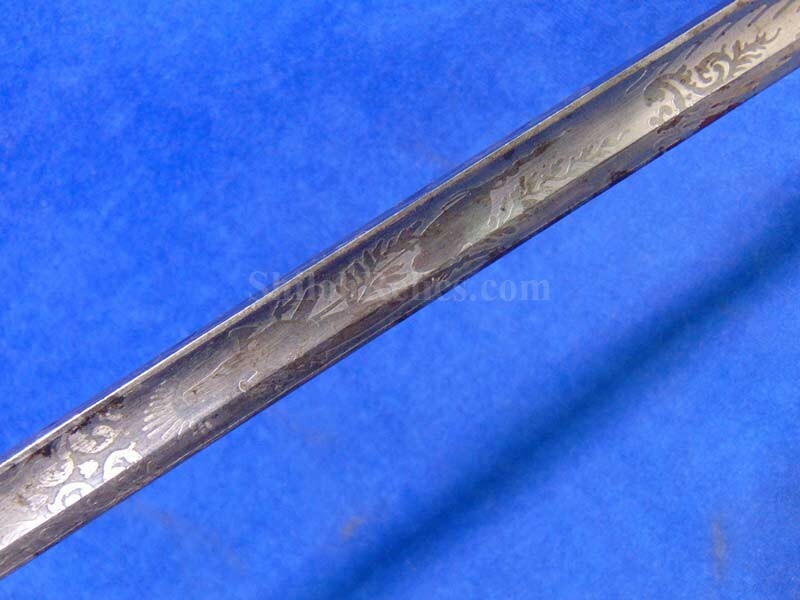 At the base of the blade it has the maker’s mark from the desirable Philadelphia maker of W.H. 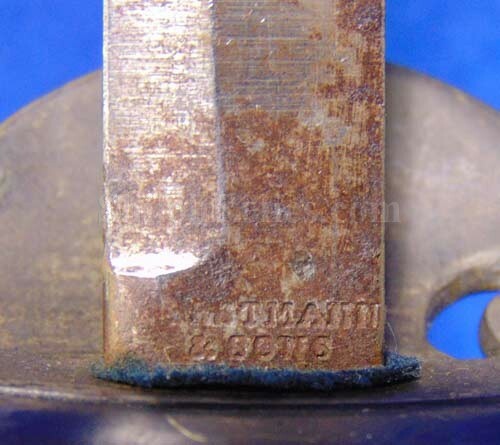 Horstmann & Sons. 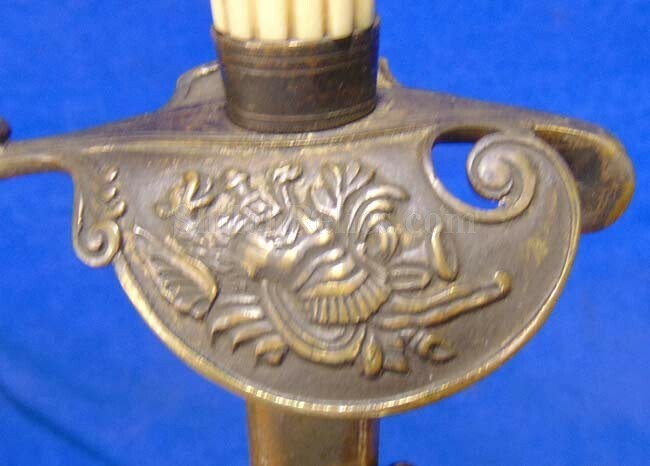 The guard and pommel cap are made of brass and they have traces of the original silver wash down in the protected areas. 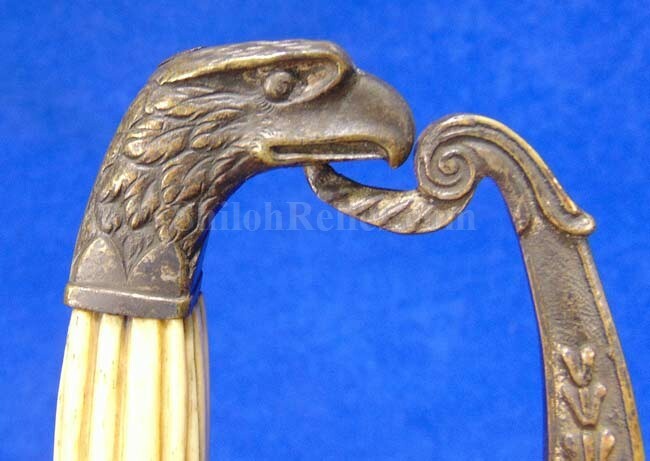 On the handle it has the bone material that has a nice look. 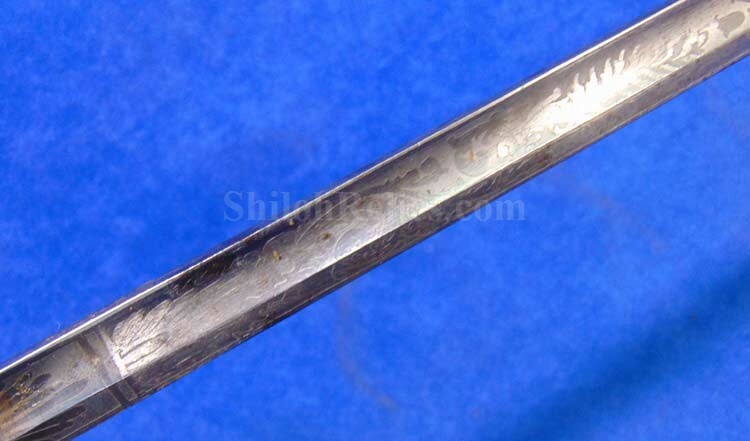 The clamshell of the hand guard has the armor design in the center. 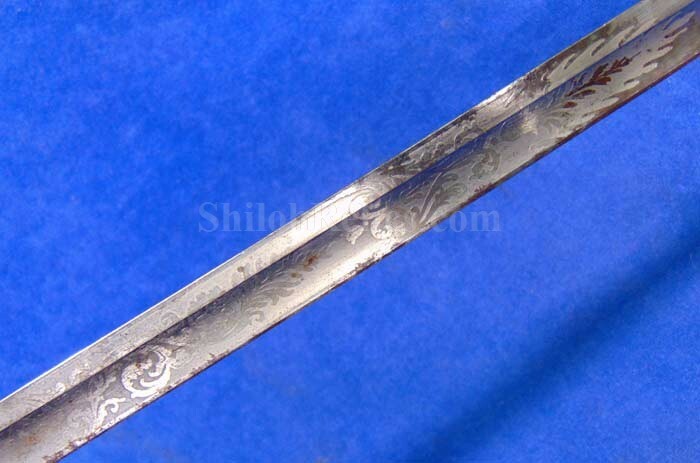 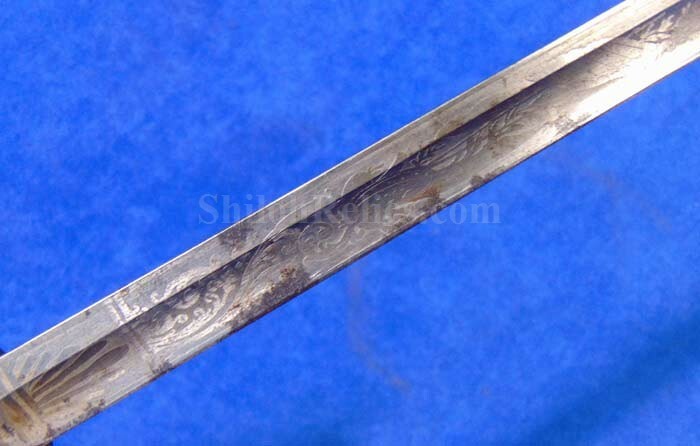 The sword is accompanied by an attractive scabbard with the rings still intact. 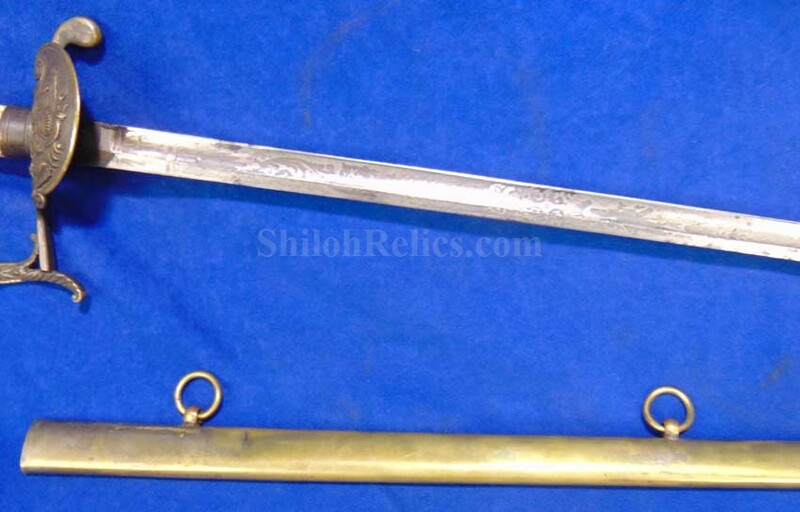 This is an attractive officer’s sword that displays beautifully and won’t break the bank.